My father, Chip Miller, was lucky enough to find his dream car. A 1960 Corvette. 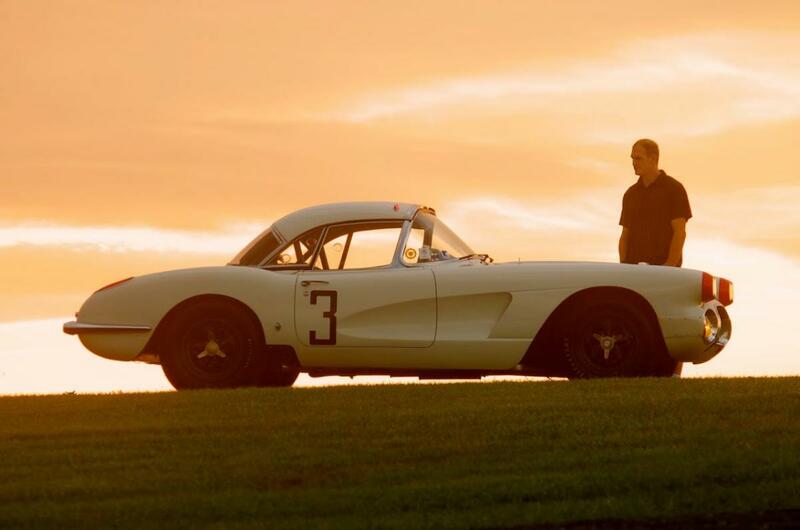 This ’60 Corvette was no ordinary Corvette. 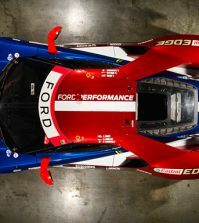 It was a very special race car. This race car happened to be the first Corvette to ever win its class at Le Mans – pictured to the right on the straight at Le Mans. 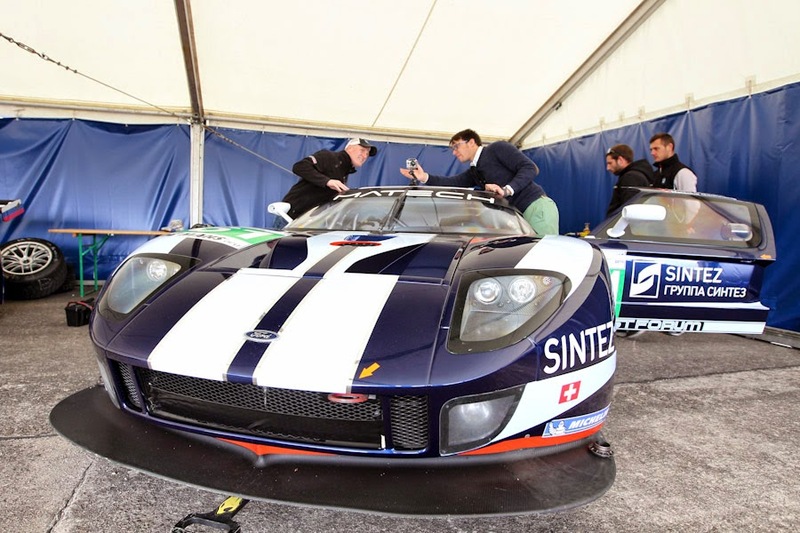 It was driven by legendary drivers Mr. John Fitch and Mr. Bob Grossman, along with another legend, Mr. Briggs Cunningham, who was the team owner. My father restored the ’60 Corvette back to its original livery from when it raced at Le Mans in 1960. 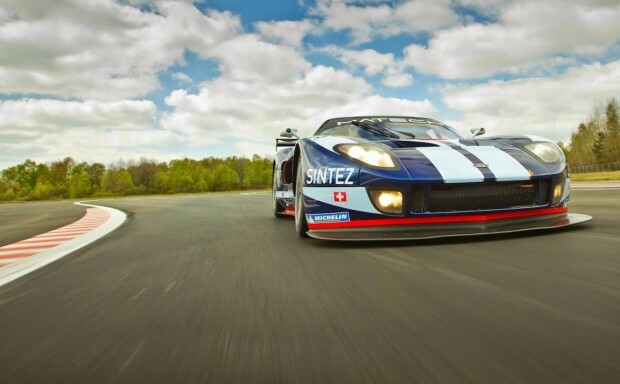 During the restoration he would often say that his ultimate goal was to take the Corvette back to Le Mans in 2010 for its 50th Anniversary. 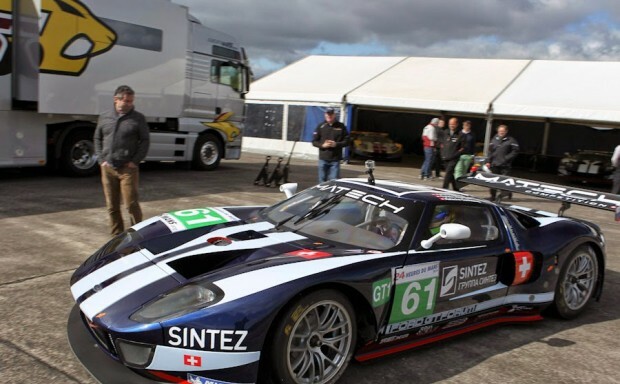 Since he passed before he could fulfill his goal, I was fortunate to live out my father’s dream and make it over to the super bowl of races – the 24 Heures du Mans in 2010. During the Le Mans race we were enjoying the VIP treatment. It was a once in a lifetime experience. The Chevrolet Team happened to be stationed very close to the Matech team in the paddock. The first time I saw the Matech cars was looking down from our hospitality suite. I was simply in awe watching these amazing cars race by. Every time I walked down to the hot pits and passed by the Matech spares the more I fell in love with the Matech Ford GT1 race cars. That day, I made it a point to tell myself, that someday I was going to own one of these cars. 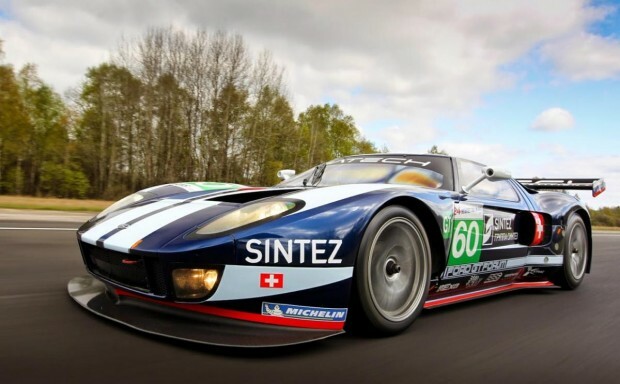 More than any, the #60 was the one I coveted because it lead the GT1 class at Le Mans for the first 8 hours of the race prior to being hit by a competitor. That’s where it all began… Le Mans 2010. 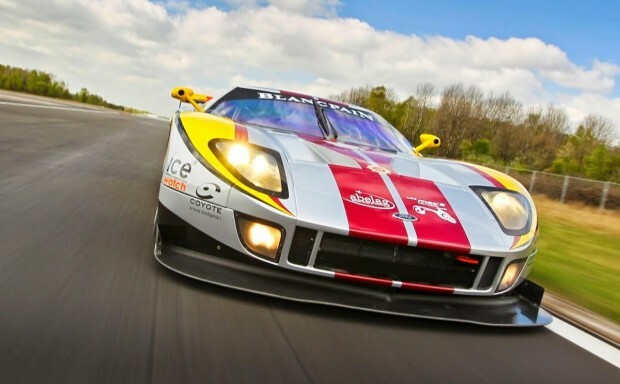 I expressed to Dave Bannister (owner of the Ford GT Forum) my desire to own one of the Matech race cars during a conversation we had. He told me unequivocally, that he doubted the cars would ever be for sale. I couldn’t accept that answer. Year after year, I would contact him. Finally, nearly four years later, Dave told me what I had been wanting to hear – that the cars could finally be purchased. Without delay, Dave introduced me to Steven Nesta indicating that he would be the person to speak with about purchasing the car. Let me just say without Steven’s help, I wouldn’t have these amazing cars. In fact, if there’s anyone out there in the world that exceeds my passion behind these incredible race cars, it would be Steven. Each time we spoke I became more and more excited! Steven and I had many conversations; of course I had a million questions pertaining to the cars. He was nothing short of amazing to work with. I’m grateful for his long hours, amazing photographs/videos, and most of all, the friendship that was formed. After sharing the details with Greg, I asked if he had any interest in being a part of this deal. He was beyond excited, in fact he even had goose bumps on his arms! He told me he’d wire the funds the next day. Needless to say, I realized right there and then that this deal was going to happen! Working with Greg was truly a great experience. Our similar sense of humor and personalities allowed us to really have fun with the deal. As we continued to move forward with the deal Greg and I both enjoyed working directly with Steven. He would tease us along the way with periodic professional images and videos of the cars. And of course Greg and I were becoming more and more excited. 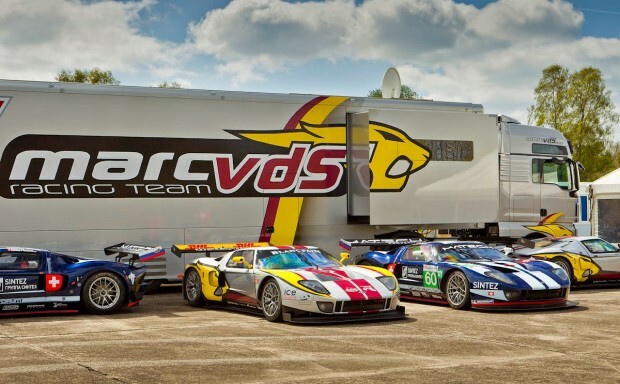 The cars were owned by team owner Marc van der Straten and the Marc VDS Team. Steven conveyed to us on numerous occasions how professional the team and Marc were to work with on this project. In fact, Steven provided them with a “hit list” to help get our cars in tip-top shape prior to finalizing the deal. 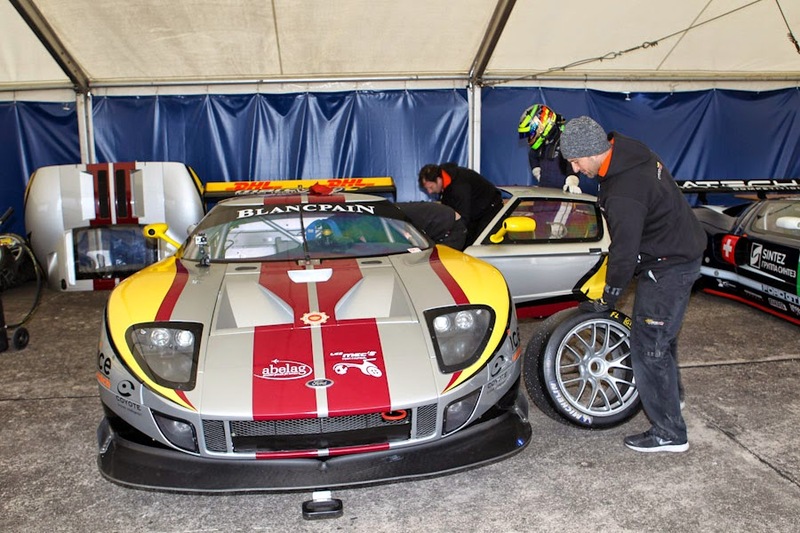 One of the cars didn’t have an engine and our goal was to get the car back in running condition and another, the #61 car, we wanted converted back to its Le Mans Livery. 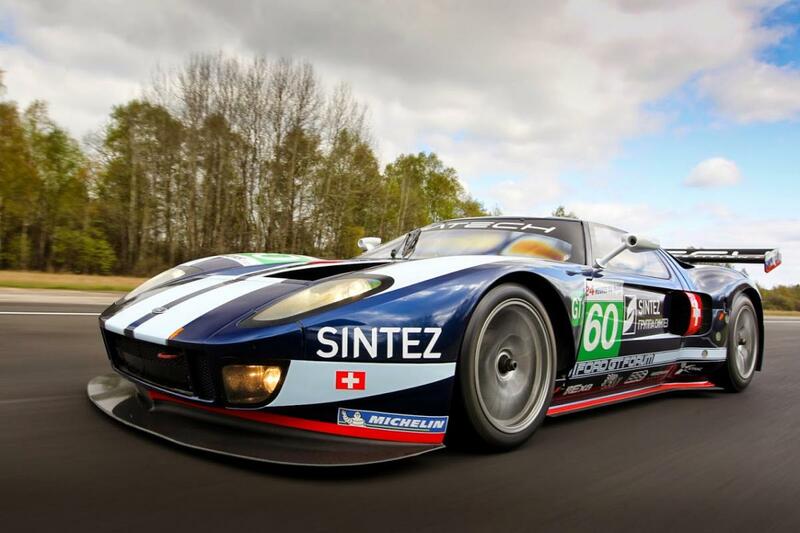 The #60 car was already restored back to its Le Mans livery and according to Steven looked great. Steven Nesta can take a mean picture! Finally the time came for Greg and I to fly over to Belgium to see and drive our cars for the first time. We were both very excited. I felt like a five-year- old on Christmas morning. 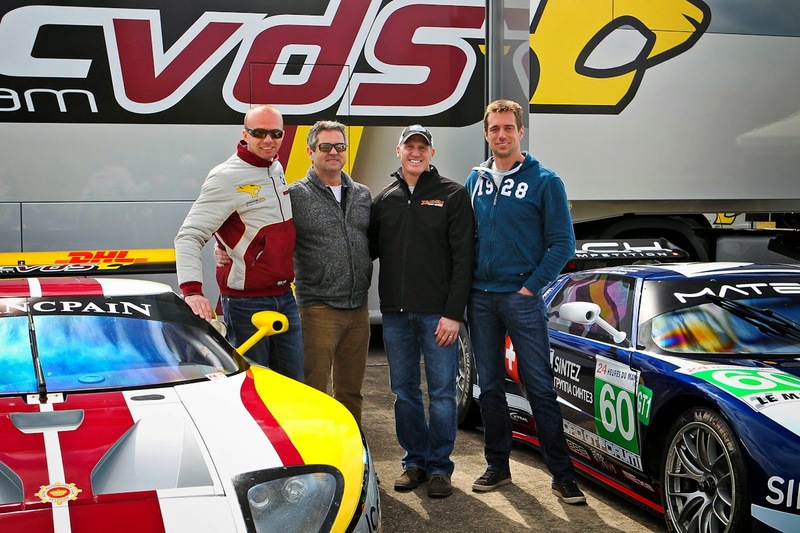 Greg went over a few days prior and thoroughly enjoyed getting to know the Marc VDS team and had the opportunity to enjoy a race at the Nurburgring. When I arrived, I had the pleasure of touring the lovely city of Brussels while waiting for the guys to get back from the ‘Ring. Once Steven and Greg returned from the track, Greg let me know what a great man Marc van der Straten was and how they hit it off instantly. Marc does not speak english but with cars and racing being the universal language (at least with this group), it was easy to communicate. We definitely felt a bond with Marc and the team members. 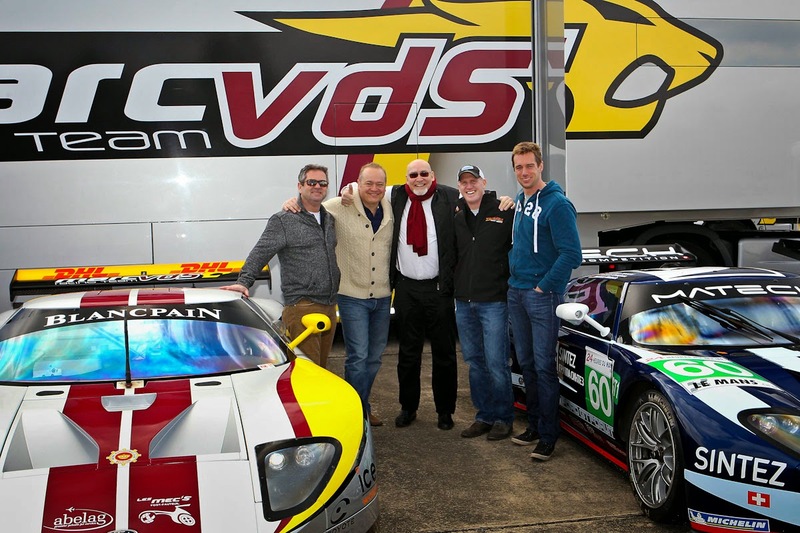 The next day we drove to Marc VDS’s headquarters to see the cars. We were blown away by the quality of the facility and the cars inside the building. 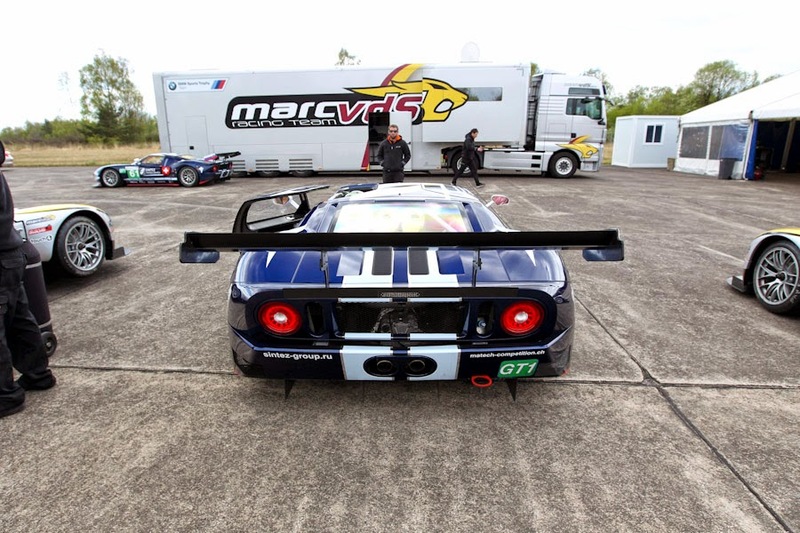 Marc’s team was working on their BMW’s and our GT’s prepping them for the next day’s track day. 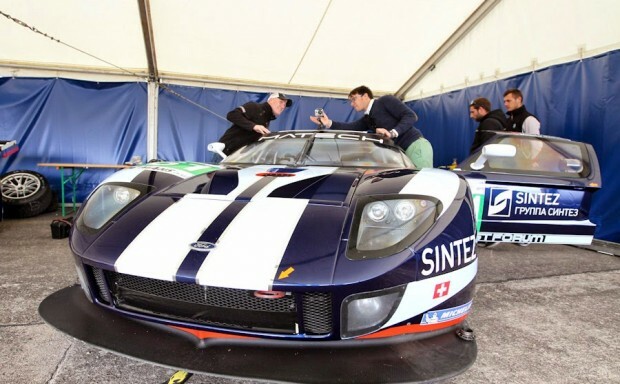 We hired Matech Team Manager and driver Thomas Mutsch to test each of the cars to ensure they were ready to go to the USA. Bas Leinders was our host and the team manager for Marc VDS, just one more person that we immediately felt a connection with. He is an extremely intense man and a man of his word. We greatly enjoyed the teams’ hospitality during our visit to their shop. Later that same evening we enjoyed some of Belgium’s finest beers. Although I’m not a big beer drinker, I enjoyed the taste. 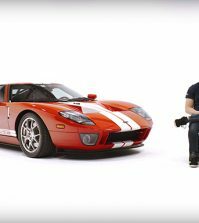 During the fun-filled evening Steven decided to surprise Thomas, Greg and myself with his Matech Ford GT books. The books were filled with such amazing photos and information that Greg, Thomas and I couldn’t put them down. In fact, I read all three books that evening which made for a very long night. Actually these books would make the perfect gift for a car guy. You can still order them by contacting Steven Nesta. The next day was the big event. 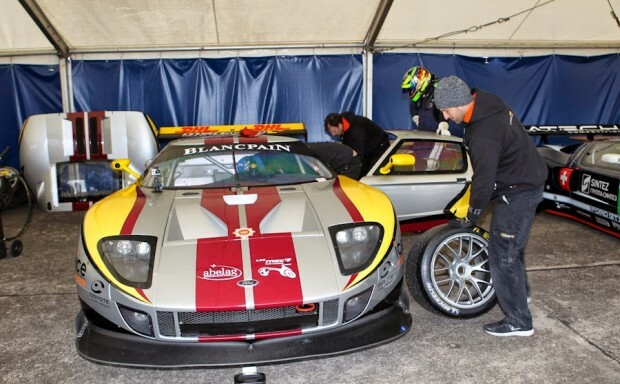 The day to test the cars on a small track in northern France. Greg and I both borrowed gear from Marc VDS team. Thomas went out for the first stint in one of the Le Mans cars and came in after one lap. 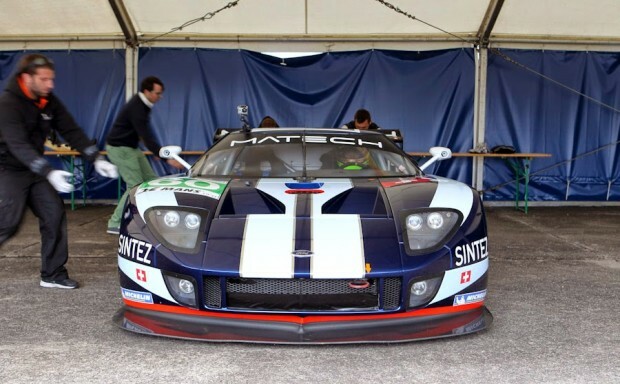 He let us know that the car wouldn’t rev past 3,000 rpm because the cars’ ECU was scheduled to be updated (each year) part of the rules in the GT1 series. This meant each of our cars wouldn’t rev past 3,000 rpm throughout the track day. Obviously, this put a damper on the speeds, but we just wanted to test the brakes, suspension and ensure that the engines sounded good. Everything, excluding the rev limiter, was perfect! I recall Thomas letting me know that the two Marc VDS cars seemed to handle much better than the Matech cars. In fact, he said they felt completely different. The Matech cars have an older suspension setup; the Marc VDS cars have a much more aggressive setup because they continued racing the cars in 2011 time frame. All the cars worked great and Greg and I were thrilled. 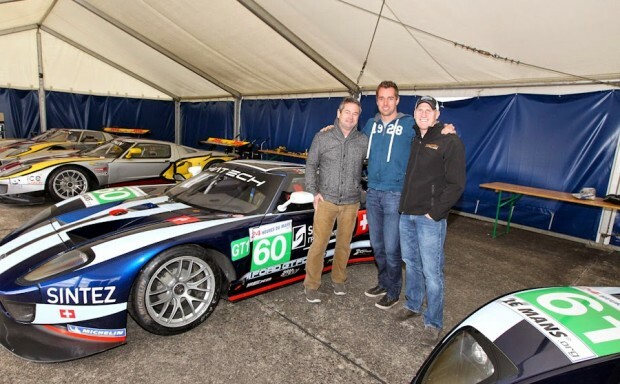 Greg also promised Steven an opportunity to drive his car (#61). 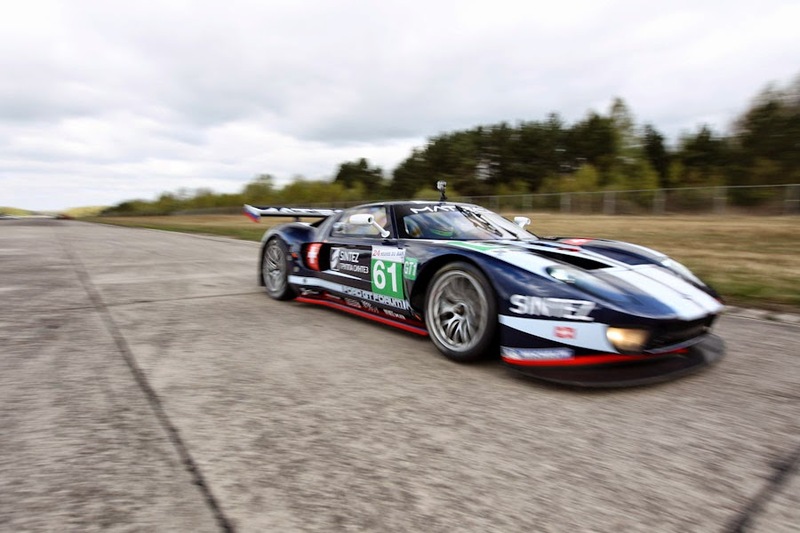 Steven jumped into the #61 and enjoyed some spirited laps around the track. I’ll never forget his smile from ear to ear after getting out of the car, pretty cool! 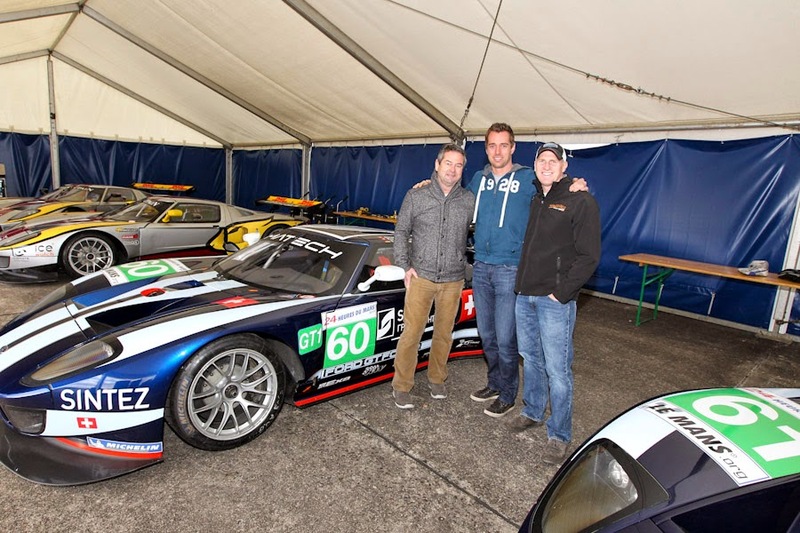 After testing and playing on the track a bit we enjoyed some time with Bas and Marc. This was the first time I had the opportunity to meet Marc. We enjoyed a couple cocktails in his trailer along with enjoying some classic music. 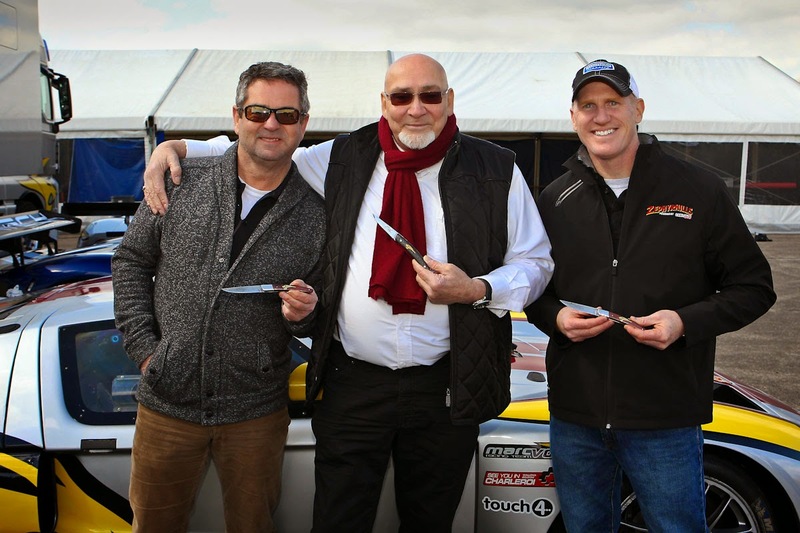 Within that short time in the trailer we ended up having a few drinks with Marc and he presented us with a stunning gift – a Marc VDS pocket knife. After the drinks, Marc invited us back to his headquarters for drinks and food. Marc and his team provided us with plenty of model cars, posters, hats, sunglasses and did I mention drinks? He has an exquisite office set up in the middle of his workshop surrounded by a glass dome. The dome allows him to see everything that’s going on in his race shop. He is a big music lover, so the music was blaring as we enjoyed the food, people and the Champagne. We danced, shared stories and enjoyed many laughs throughout the evening. Every now and then, Greg and I looked at one another, in total disbelief. We were sure nobody would believe this ever happened. It was absolutely a once-in-a-lifetime experience and it brought everyone together. Incredible friendships were made as we truly had a extraordinary evening. The next day, Bas took us out to dinner at a wonderful steak house and we enjoyed more laughs and good times. 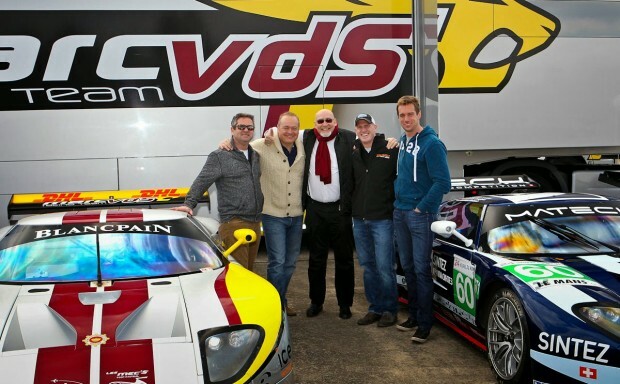 Upon heading back we wired the remaining funds and Marc VDS filled three containers with cars and parts. A month later the cars arrived in the port of New York and we had the containers brought to Carlisle, Pennsylvania. Of course it was raining, but we had plenty of helping hands to assist making for a smooth unloading process. Nothing was damaged and the cars looked great, excluding the typical grime and dust. 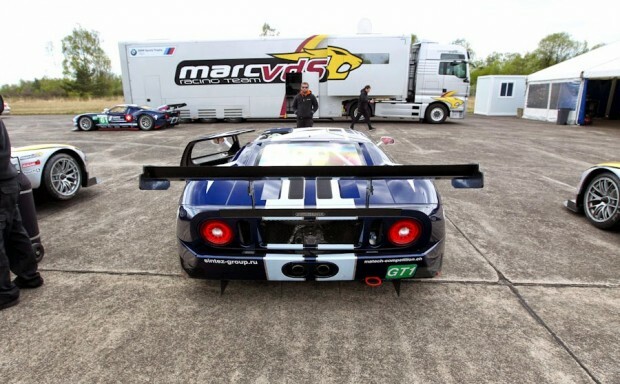 You could tell Marc VDS shipped cars overseas before. They had the tie downs drilled into the wooden container floor along with big buckets of damp-rid to ensure everything didn’t get corroded and etc. It was just another reminder of their professionalism. 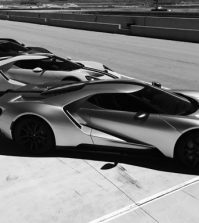 Once the cars arrived, we enjoyed sending press releases out to the various automotive outlets letting them know the cars are in the USA. 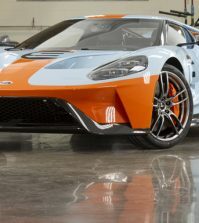 We decided to unveil the cars during the 2014 Carlisle Ford Nationals held in Carlisle, Pennsylvania at the fairgrounds. Needless to say, people couldn’t wait to see the cars. Greg and I enjoyed firing them up for the crowds so they could enjoy the sweet music they produce. We shared our story with the audience and allowed people to get in the cars while they took picture upon picture. It was such a relief to have the cars on US soil. Seeing peoples’ expressions as they would look at the cars, touch the cars and listen to the cars was priceless. At this point, it began to set in. I realized my dream had come true. 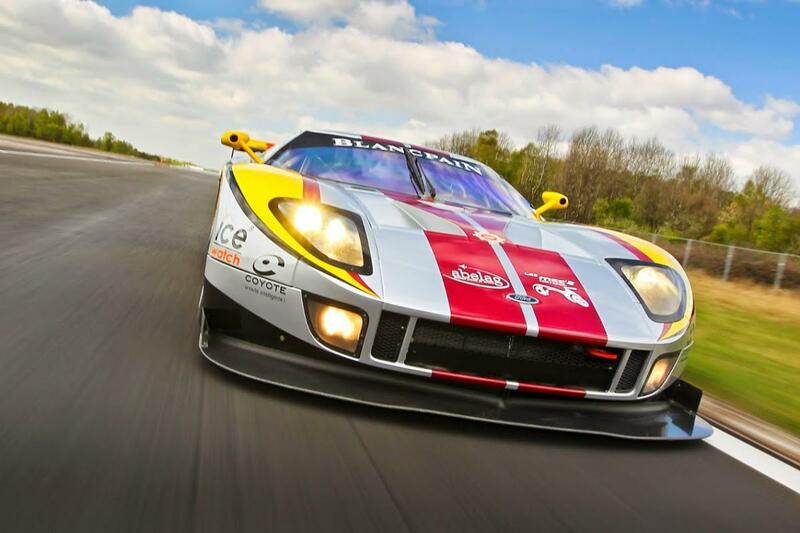 Marc VDS Ford GT1 looking pretty and ready to go! I often walk into our garage just to visit with the cars. I enjoy the beautiful lines they carry. To this day, I don’t believe there’s a better looking race car out there. 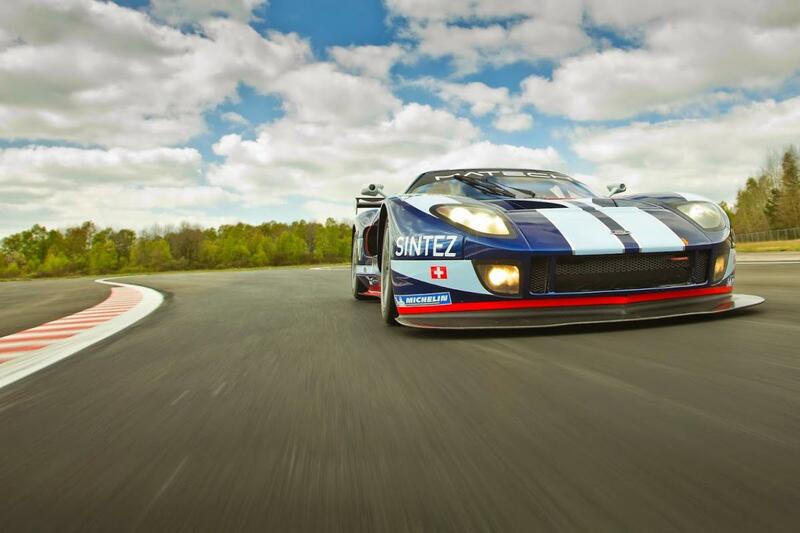 I’m grateful to be a caretaker of this beautiful car that helps continue the Ford GT40 legacy and tradition. Bas and one of his team mates promised to fly out to Pennsylvania to flash the computers in the cars. If you recall, the cars could only rev to 3000 rpm. Bas, being a man of his word, flew to PA, flashed the computers and had them installed in each of the cars so they could roar once again. Once installed, Greg and I were excited to test the cars at the upcoming event held at the Spring Mountain Motor Resort in NV. 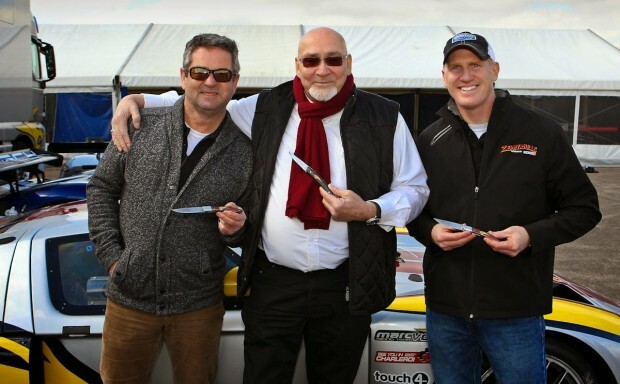 The knives that Marc provided Greg and myself – pretty special! 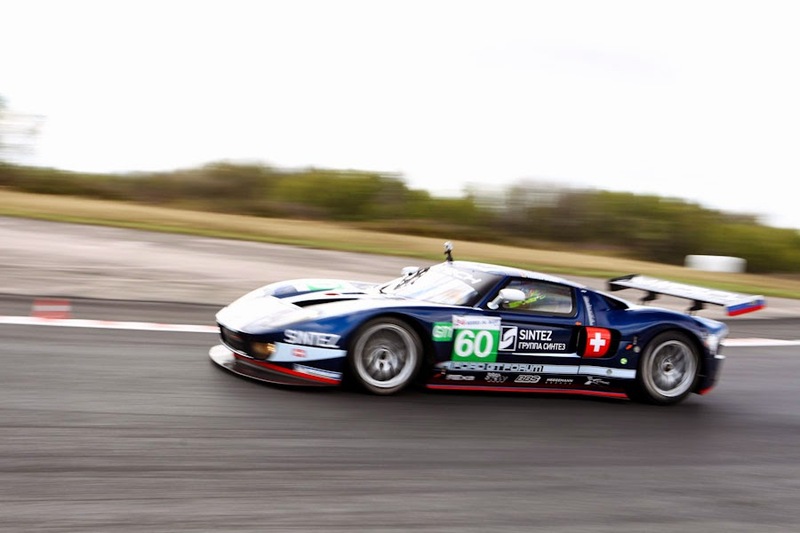 Greg and I told Dave Bannister that we’d be happy to bring the Matech Ford GT1 cars to the Ford GT Rally 9. We had some issues getting the cars there, but the truck finally made it in the nick of time for the group photograph. The #60 Matech ended up winning “Best in Show” and was awarded a beautiful crystal trophy. The next day we took the cars to Spring Mountain and enjoyed a day filled with track play and getting to know our newly adopted cars. Life is good! Greg and I are looking forward to enjoying the cars, both on and off the track. 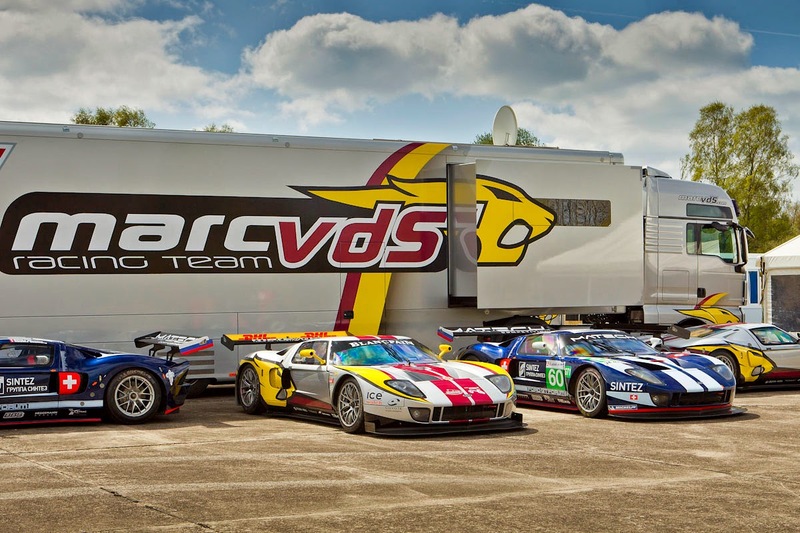 As for the Marc VDS GT1 cars, we’ve agreed to sell the two cars when the timing is right. 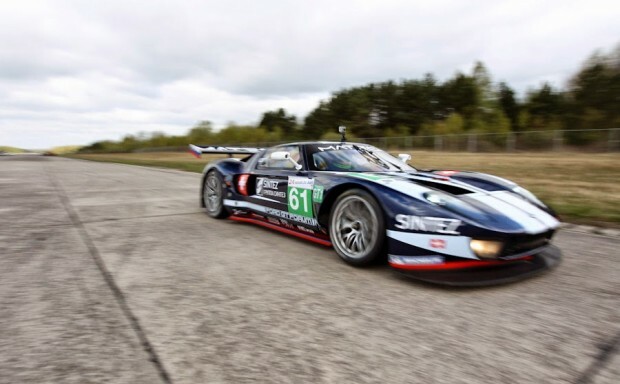 If anyone might have interest in owning an amazing piece of Ford GT and GT40 racing history, this is a chance of a lifetime and Greg and I are living proof. Just reach out to either Greg or myself if you have interest and we’re open to trades (especially other GT’s!). As my father would often say… LIFE IS GOOD!